Uh-huh. Right. The Senate’s got him on the hot seat for hype, and rightly so. “When I can’t use language that is flowery … I feel like I’ve been disenfranchised” — Dr. Oz telling the Senate why he uses words like ‘miracle’ and ‘magic’ while promoting weight loss products. The Senate is wondering whether that’s false advertising, and prefers words like ‘questionable’ and ‘scam.’ Paging Oprah. “I feel like I’ve been disenfranchised.” What baloney! Ah, the lure of television has taken Oprah guests who once had oodles of credibility and showed them the way to the celebrity gutter. You know, where names that Oprah makes big sell out for money and popularity. Are you listening, Dr. Phil? Yes, I once liked Dr. Oz and bought the first book he and his doctor-partner wrote. Years ago. The unassuming, less media-genic partner has disappeared to history. Dr. Oz has become a money machine with zero credibility. Unfortunately, I think the investigation of his inflated claims is only the tip of the iceberg. There was a day when I thought this guy had something important to say. But if he does now, it’s drowned out by his need for celebrity and money. Which is the only reason a medical doctor would think it important to use “flowery language” to talk about iffy products. No. Longer. Watch. Dr. Oz. I hope you don’t trust this guy. He should lose his medical license, I think, or be strongly censured. In any case, I hope women will stop looking at him as some sort of medical God. I also have watched this investigation with interest. I have learned some things from him, but began to notice that everything he promoted was a miracle. Can you imagine eating everything he says is necessary to eat to be healthy?? I do believe that he has sold out to star status and all of his good intentions to help others can be questioned. He looked pretty nervous answering those questions. Pam@over50feeling40 recently posted…I MATTER TALKING THE TALK….PLUS THE THURSDAY BLOG HOP! I too bought his first book and even purchased one of his suggested miracle workers. That was when I realized what a scam he was. Hate thinking I was had, but I was. I have never liked Dr. Oz. Even when he shares helpful and interesting information I find him smarmy and condescending. He’s a showman from start to finish. I think he was different in the early days with his partner. 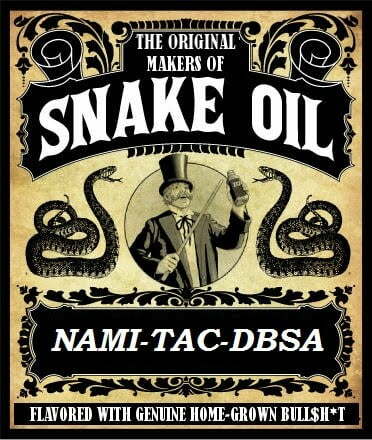 But now: snake oil. Every week at the supermarket I see another miracle diet promoted by Dr. Oz. The first time I was interested but it was one of those fruit gels which don’t interest me. The second one was something I can’t spell or pronounce. By the third week I realized…..(I do love living here because the stores I went to in NY never had magazines like that to occupy my time…) There can’t be 52 miracled diets a year multiplied by I don’t know how many years. That investigation makes me so happy! There’s an article somewhere on the Internet that goes into shapes and colors of bowel movements. I think it’s called “Everyone poops,” and while my mother wasn’t fascinated by these things my father was. I am the only woman I know to have turned into my father. I wonder if he still has any REAL patients? Would you stay with him? I wouldn’t. No. Someone whose priority is TV can’t have medicine as a priority. I believe he is an active surgeon (happened to catch it on TV the other day). But I totally agree with this blog – and have for several years. Whenever I catch tidbits of his show, he’s got some new fad that he’s promoting – and it never appears to be something healthy. The world has given him a platform from which to schill his products to unwitting followers. It’s a shame that he’s used his fame to make money, considering all the good he COULD do. He probably started his career with all the best intentions and then was weak and got seduced by fame and fortune. That’s always the key. If it seems too good to be true… it is. I saw this in the news and thought “finally”. I too used to love Dr. Oz and thought he had valuable advice. But then EVERY DAY he would say, “If you only do this one thing, do this”. If I did all of his one things, I wouldn’t get anything else done! Lana recently posted…What Can Your Teen Do This Summer? The other thing is, if someone is taking Rx meds, many supplements affect them. There is no broad stroke, something he should know as a doctor. Irresponsible. Yeah, I loved the headline that read, “Dr. Oz admits to peddling junk.” That kind of sums it up. What a charlatan! “pay no attention to the man behind that curtain.” Indeed! I have been a health coach for close to 40 years and on a regular basis, clients ask me about various “new” products. I am always a bit leery but will check them out with the resources I have. When Dr Oz came on the scene, he certainly appeared legit, until I started to check our his products. At that point, I begged people to ask me before buying. In light of what has now happened, many whom I have educated are thrilled they listened when they did and have learned how to check out products before purchase. Over the years, his very appearance and manner is creepy, maybe he is becoming a product of his own medicine! Exactly. That is my main issue, too–there is no supplement that is one size fits all –due to drug interactions. Dangerous drug interactions. It’s a shame. I too, liked him “back in the day” before he got Oprah-fied (like Dr. Phil, who is such a charlatan). I think he started out really wanting to make a difference but got caught up in the whirlwind of Oprah land and now it’s too late to get out. TV catches up with professionals. Cheapens them. I was never a big fan of Oprah’s, there I said it let the torpedos begin. Yes, she has done alot if good things but always for a camera. Anybody that comes close to her becomes a star. It’s not that these people are so extraordinary it’s because she owns everything and buys them their fame. Seriously Gayle King CBS morning news, DR. OZ CBS afternoon, DR. Phil CBS afternoon. She didn’t go off the air, these people just get paid to do her job for her now and they all get richer! They all have one goal Make Oprah and themselves as much money as possible. Honestly speaking, I’d always wondered how many products one would have to buy for good health as each episode recommends a product. On the other hand, Dr.Oz was the first doctor I ever heard who motivates people to prevent illnesses, instead of curing them. I won’t be surprised if he is in hot water because of in house competition. Let’s also consider that most internet claims of Dr.Oz endorsing specific products were proven to be false and he was not affiliated with any of those companies. I agree with you Carol and for once didn’t cringe at the congressional browbeating. He deserves it for selling out and promoting every little fad with little to no clinical evidence.